Self-examination in Psychoanalysis and Psychotherapy provides open and intimate accounts of the experience of being in psychotherapy. The internal life of the therapist is as much at the heart of the stories told as those of the clients. William F. Cornell here writes in a more personal and literary voice, avoiding as much as possible, the dense theoretical language that often typifies analytic writing. 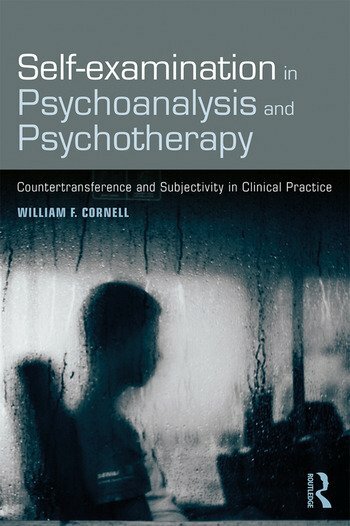 Central to the thesis elaborated in this book is that of how the therapist’s own personal history and unconscious motivations can deepen or distort the therapist’s understanding of the client. One chapter is devoted to the frank discussion of the author’s work with a client that was not only unhelpful but in fact harmful. Cornell emphasizes the capacity to call one’s self into question as a fundamental outcome of psychotherapy and psychoanalysis. Attention is paid to the conscious and unconscious forces that create profound dynamic tensions between the enlivening desire for a fuller life and the defenses that deaden one’s capacity to think and to engage more fully in one’s life and relationships. The dynamics of transgenerational transmission of grief, loss, and trauma are also examined closely. The psychotherapist as person and professional, rather than the clients, is at the heart of this book. Self-examination in Psychoanalysis and Psychotherapy will appeal to all psychoanalysts and psychoanalytic psychotherapists who will find an exceptionally open discussion of the challenges, learning, and meanings of being a psychotherapist. William F. Cornell maintains an independent private practice of psychotherapy and consultation in Pittsburgh, PA. He had devoted more than 40 years to the study and integration of transactional analysis, psychoanalysis, and somatic psychotherapy. He is a Training and Supervising Transactional Analyst and has established an international reputation for his teaching and consultation. "The many vignettes in this unique and deeply affecting book are personal stories, not illustrations of ideas. The book rides the line between psychoanalysis and psychotherapy, on one hand, and fiction, on the other. For many of us, that is an ideal. It is for me. Cornell’s vital, committed, warm, and funny presence is thoroughly woven into the mix. We learn about him and his own life, but always in the service of the larger purposes of his book. The wisdom and depth of these stories will move you and contribute to your work. What more can we ask? "-Donnel Stern, Ph.D.